From the sea to the land. A central column twisting, morphing and engulfing. Coiling my path as i walk. The environment around and the one within. An eternal dance begins. 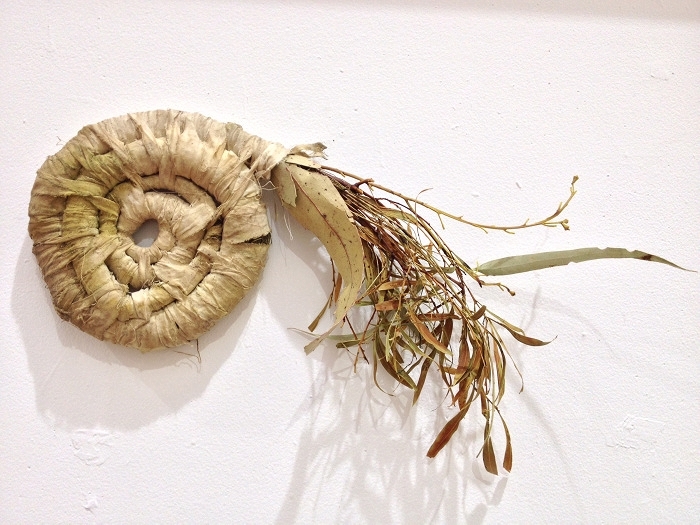 2014, eucalyptus dyed linen, eucalyptus leaves. 2014, plant dyed wool, grass.